A few roster spots available for 13 and 14 AAU Teams! Visit our top-quality Baseball and Softball training facility and State-of-the-art fitness center! 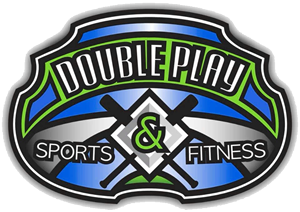 Whether you’re searching for a local fitness center to maintain your health or a place to learn and practice softball or baseball, Double Play Sports & Fitness is your ideal choice. You’ll find everything you’re looking for – from top-grade equipment to experienced coaches. Whether it’s hitting, pitching fielding or catching, we have coaches available to help in season and off season. In addition we also hold baseball and softball clinics from top coaches in the area. Hone your softball and baseball skills in our batting cages. The cages have 25 ft. ceilings, and have 5 pitching machines.